Turning a passion into a viable business is a line-in-the-sand decision, and a new book by former Vermont Small Ruminant Dairy specialist Carol Delaney, A Guide to Starting a Commercial Goat Dairy, covers what farmers should consider when planning a goat dairy startup. It also fills a gap—there are many periodicals and books with information about cow dairying, and this adds some needed weight on the small ruminant side of the scale. Available in print from the UVM Center for Sustainable Agriculture for $25 (includes shipping), and as a free downloadable PDF. Contact Carol Delaney for more information or for workshops and speaking engagements at cdhornofplenty@gmail.com or 802-229-2096. Behind every traditional type of cheese there lies a fascinating story of how it came to be. 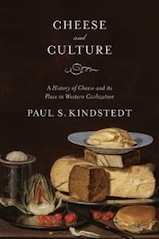 By examining the role of the cheesemaker throughout world history, and by exploring a few basic principles of cheese science and technology, author Paul Kindstedt (American Farmstead Cheese) offers this uniquely focused and in-depth look at cheese, its origins and development, from prehistoric times to the present day. Available from Chelsea Green Publishing. By Angela Miller with Ralph Gardern Jr. 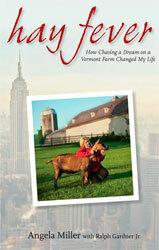 The compelling, funny story of a high-powered professional’s life-changing journey from Manhattan big cheese to Vermont goat cheesemaker. Order it from Chelsea Green. 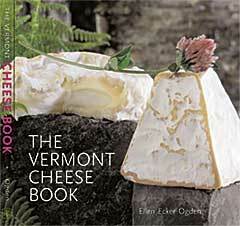 In a Cheesemaker’s Kitchen is a treasury of original recipes from leading chefs that incorporate Vermont Butter & Cheese Company’s delectable products. Culinary luminaries like renowned chefs Eric Ripert of Le Bernardin, Michel Richard of Citronelle, and Molly Hanson of Grill 23; chef, writer, and educator Dan Barber of Blue Hill; chef-entrepreneurs Alison Lane and Andrew Silva of Mirabelles; knight of the French Order of the Mérite Agricole, chef Raymond Ost of Sandrine’s; and food writer and former CEO of Clicquot, Inc., Mireille Guiliano, share their heartfelt philosophies about food. Their tantalizing recipes will expand any home cook’s culinary repertoire. 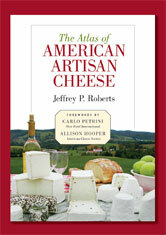 Twenty-five years ago Allison Hooper and Bob Reese began crafting artisanal dairy products in the European style. They developed a vital link with local farms that continues to this day: Vermont Butter & Cheese Company supports a network of more than 20 family farms that provide milk that meets the highest standards of purity. As Allison learned on a family farm in France, quality originates at the source—with the people who work the land and the pride they take in its yield. 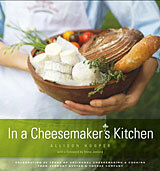 In a Cheesemaker’s Kitchen celebrates their perhaps improbable success. It is the story of pioneers in the fledgling American artisan cheese industry and how they bootstrapped a small, socially responsible business. 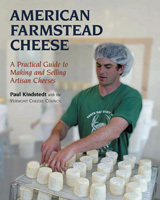 The first comprehensive guide to the award-winning American artisan cheese movement.